"You are way more energetic than I remember." Paramount has debuted the first official trailer for Dora and the Lost City of Gold, the live-action Dora the Explorer movie that's hitting theaters this summer. Young actress Isabela Moner (seen in Transformers: The Last Knight, Sicario: Day of the Soldado, and Instant Family) takes on the iconic role of Dora, with the short hair and backpack. Her first big adventure is high school, but of course she ends up in the jungle on a real adventure to save her parents - played by Eva Longoria & Michael Peña. Also starring Eugenio Derbez, Temuera Morrison, Q'orianka Kilcher, Adriana Barraza, plus Danny Trejo (as the voice of Boots - her lil' sidekick monkey), and Benicio Del Toro (as the voice of Swiper). This looks as crazy and as goofy and as ridiculous as expected, but it's from the director of the recent two Muppets movies, so maybe it will actually be a good time at the movies. Enjoy. Having spent most of her life exploring the jungle with her parents, nothing could prepare Dora (Isabela Moner) for her most dangerous adventure ever – High School. 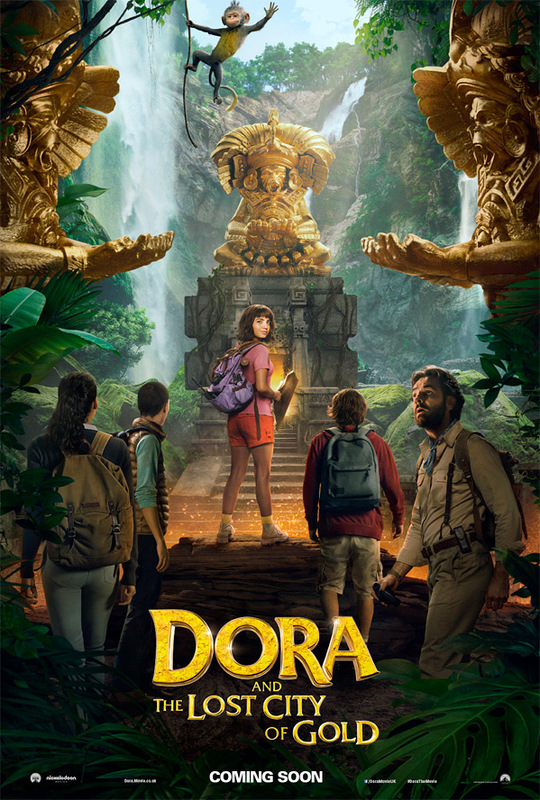 Always the explorer, Dora quickly finds herself leading Boots (her best friend monkey), Diego (Jeffrey Wahlberg), a mysterious jungle inhabitant (Eugenio Derbez), and a rag tag group of teens on an adventure to save her parents (Eva Longoria & Michael Peña) and solve the impossible mystery behind a lost city of gold. 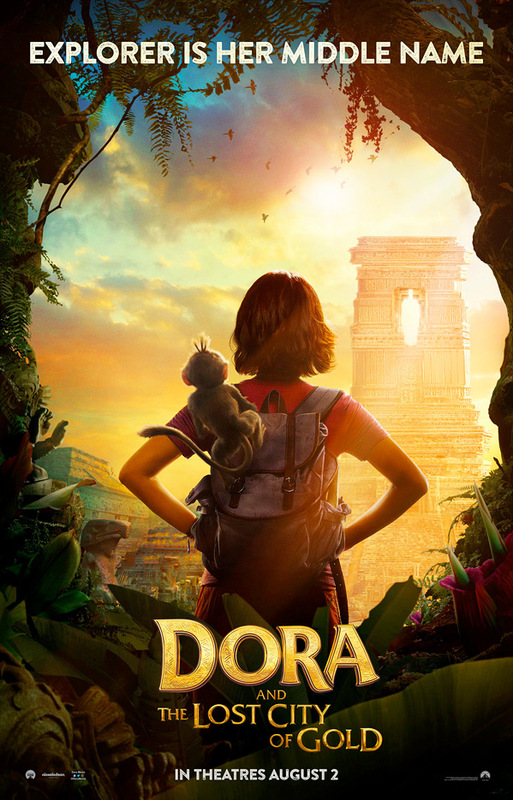 Dora and the Lost City of Gold is directed by English filmmaker James Bobin, director of the films The Muppets, Muppets Most Wanted, and Alice Through the Looking Glass, plus episodes of "Da Ali G Show" and "Flight of the Conchords". The screenplay is by Nicholas Stoller and Matthew Robinson, from a story by Tom Wheeler. Based on the Nick TV show created by Chris Gifford, Valerie Walsh and Eric Weiner. Paramount will release Bobin's Dora and the Lost City of Gold in theaters everywhere starting on July 31st, 2019 in the summer. First impression?